YADAGIRIGUTTA - యాదగిరిగుట్ట: 2nd Ghat Road for Yadagirigutta - Foundation will be by CM Kiran ??? 2nd Ghat Road for Yadagirigutta - Foundation will be by CM Kiran ??? Much waited and more more required 2nd Ghat Road works will start in February 2nd Week, Aler MLA Bixamaiah Goud told yesterday and Foundation will laid by CM Kiran Kumar Reddy, he said. 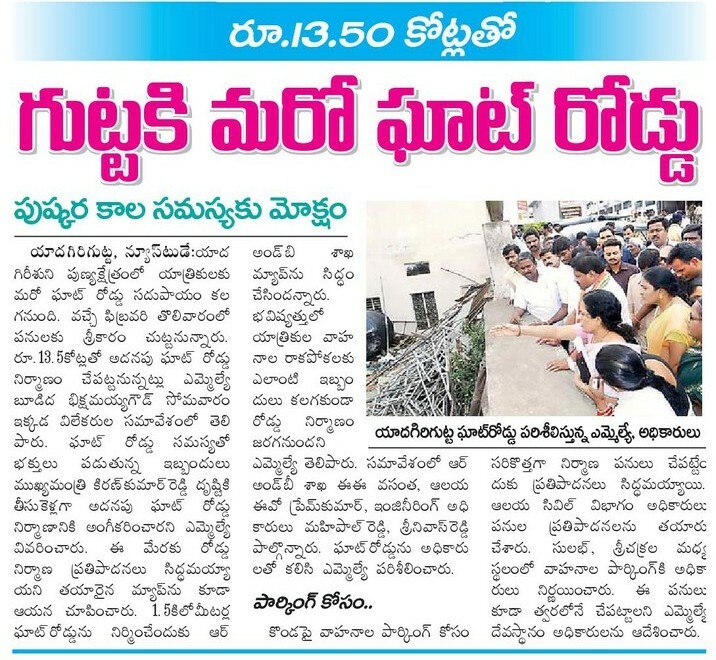 As the R&B and Temple Authorities inspect the location yesterday along with MLA, the road works expected total amount is 13.5 Crore Rupees. I have been hearing the same statements Since my childhood days ... dont know when this will come true, be positive... will see when it will happen. 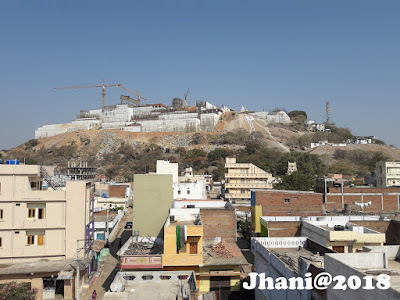 and also planning to construct 7 floors building for parking at uphills, this is also more required, since allowing vehicles in 2 ghat roads and there is no parking at uphill means, waste of money and problems for travelers, hope all the works will go in good planning with consideration of future requirements and not convert in to money make projects for leaders and authorities.